Jesus Christ is the son of God and the only way to God. 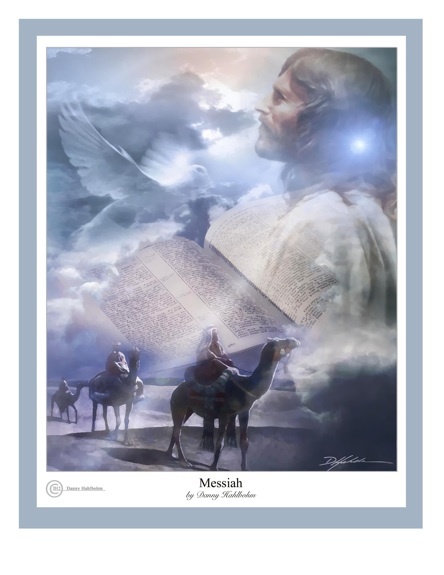 Jesus Christ is the Messiah spoken about in the Tanakh or the Hebrew Bible's (Old testament) prophecies and in the New testament in the Christian Bible. He is the perfect and holy sacrificial lamb of God to pay for the sins of the world. He came to Earth 2000 years ago. Recieve him as your lord and get eternal peace, eternal life with God. Jesus Christ is the living son of God. Jesus Christ is the Messiah that can forgive sins, give salvation and eternal life. Jesus Christ has the authority to forgive sins and grant eternal life in paradise with the Father. Jesus said: “I am the way, and the truth, and the life. No one comes to the Father except through me. Jesus Christ is not only Savior and Messiah for Jews, but for the whole world, for all who believe in Him and accept Him as Lord. "He is the image of the invisible God, the firstborn of all creation. For by him all things were created, in heaven and on earth, visible and invisible, whether thrones or dominions or rulers or authorities —all things were created through him and for him. And he is before all things, and in him all things hold together." Here are Bible words about the divinity of Jesus Christ. Faith and water baptism in the name of Jesus Christ is the only way to God. Jesus Christ said: He who has seen Me has seen the Father. Humanity is separated from God because of sins and crimes. We have all lost the glory of God and we can't dwell with God in paradise because of our crimes and sins. The wages and punishment for sin is death. We are doomed to eternal, punishment, destruction and separation from God. God still loves us even when we are sinners and he has arranged so that someone else took the punishment for our crimes and sins. Jesus Christ, the son of God died and took the punishment for the crimes and sins of humanity. He died by crucifixion and was resurrected by God on the third day. If you believe this in your heart and say loud with your voice that Jesus Christ is your Lord you shall be saved, confess it loudly. Then you will be saved. So first there must be faith in Jesus Christ and that you confess him as your lord. Then there should be repentence of sins: This means that you confess your sins to God and realize that some things you have done is wrong and bad and you regret those evil things and you repent. You say that you are sorry and you really mean it. You ask God for forgiveness and you humble yourself before Jesus Christ. Then you are totally forgiven and washed clean in the sight of God because Jesus Christ paid the price for your sins and you get peace with God. You are forgiven. You are saved. You will get eternal life in paradise with God. You must also be baptized in water in the name of Jesus Christ. Then you become a member of God's family, friends and children. Confess Jesus Christ as your lord and savior, your God. Jesus Christ came to restore the fellowship with God and humanity so that we shall be able to dwell with God in paradise forever. 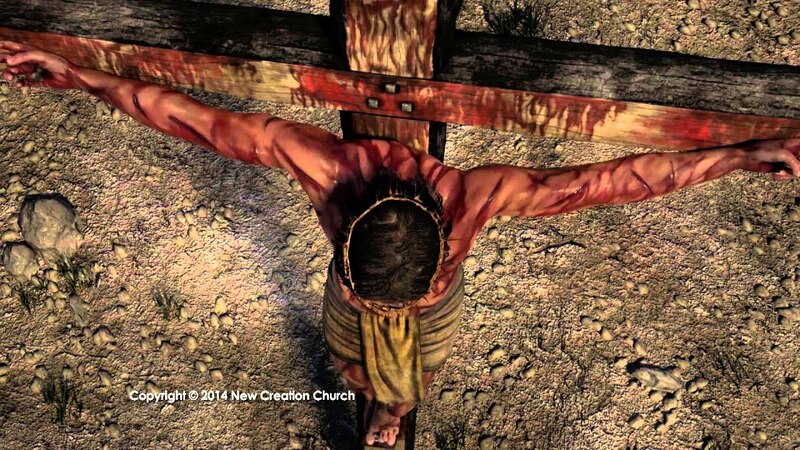 It is only the sacrifice of Jesus Christ that can achieve this because he is 100% holy and he never sinned. Jesus Christ is pure. No other sacrifice will do in the sight of God. No other sacrifice can wash away the guilt of sin. Only Jesus can erase sins. When we make Jesus Christ our lord we shall also try our best to follow his commands and obey him. When we fail to obey, when we fall and sin, there is forgiveness. Jesus Christ is merciful. Jesus Christ is love. Jesus Christ loves you. God loves you. But don't abuse God's mercy as "license to sin." God is also pure, righteous and holy. God sees your heart. You can't fool God. When you ask for forgiveness, make sure you really mean it. When you believe in Jesus Christ and make Him your lord, try to follow His commands. Try your best. Jesus loves you. But do you also love him? "I tell you, whoever publicly acknowledges me before others, the Son of Man will also acknowledge before the angels of God. But now the righteousness of God has been manifested apart from the law, although the Law and the Prophets bear witness to it the righteousness of God through faith in Jesus Christ for all who believe. For there is no distinction: for all have sinned and fall short of the glory of God, and are justified by his grace as a gift, through the redemption that is in Christ Jesus, whom God put forward as a propitiation by his blood, to be received by faith. This was to show God's righteousness, because in his divine forbearance he had passed over former sins. teaching them to obey all that I have commanded you. And surely I am with you always, to the very end of the age." Our salvation is a free gift from God through Jesus Christ. Only he could accomplish a pure and clean sacrifice good enough to forgive sins. Jesus Christ is divine and he never sinned. Jesus Christ, the Messiah was crucified. He died for our sins. And he resurrected. He lives now in heaven, sitting on the right hand of the Father. 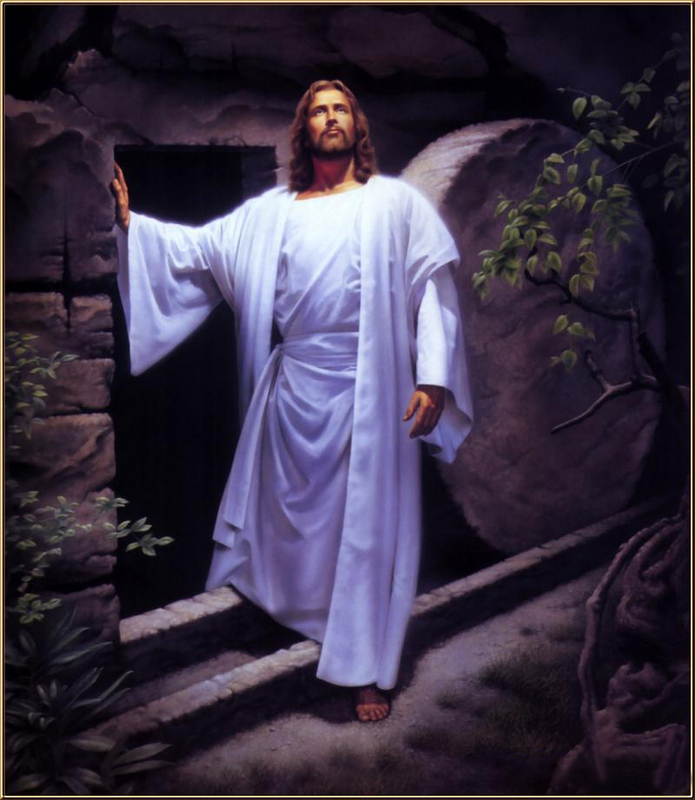 Jesus Christ resurrected from death on the third day. Brothers, I don't want you to be ignorant of this mystery, lest ye should be wise in your own conceits; that blindness in part is happened to Israel, until the fulness of the Gentiles be come in.